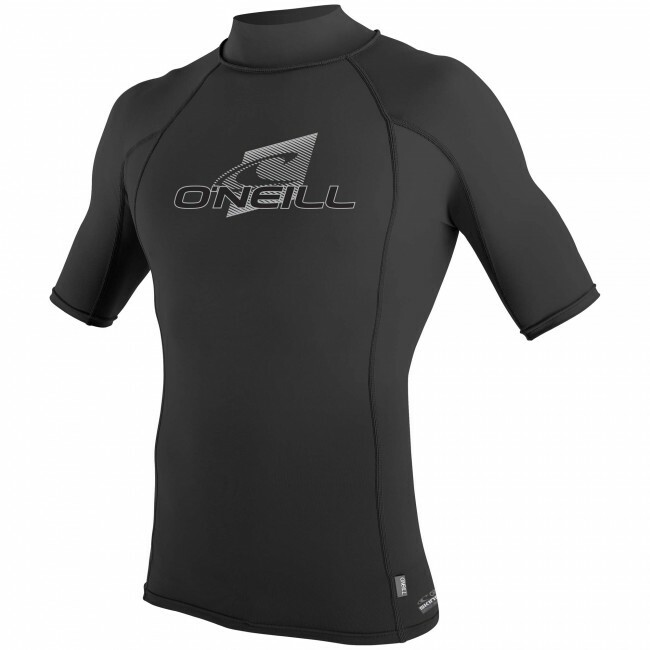 Keep away yucky neck rashes with the O'Neill Skins Short Sleeve Turtleneck. This lightweight performance fit rash guard is a go to piece to add a layer of protection for your skin. Wear it under your wetsuit to avoid chaffing along the neckline. Wear it alone with a pair of boardies to keep the sun of your back and the wax off your chest.